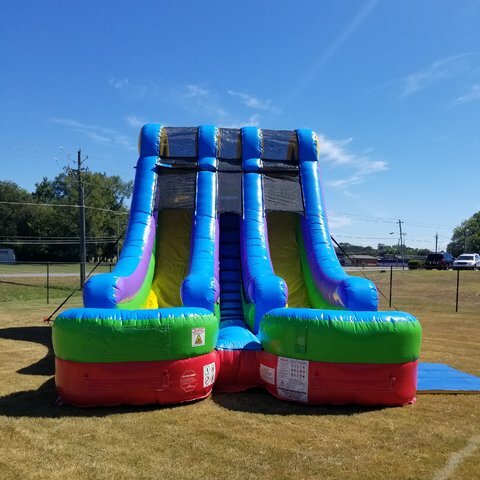 Our new dual lane dry slide is a great piece for any kids event, or even the adults. Slide has two lanes, therefore increasing the amount of riders that can slide down. Also can be rented as a water slide (located in our wet slide category).